Frame made of hardwood with a coffee-bean finish. 28.5"W x 35.5"D x 31.5"T.
USA made of Italian materials. Boxed weight, approximately 50 lbs. Founded more than 30 years ago, Old Hickory Tannery is still family owned and operated in Hickory, North Carolina. Although the company's name reflects its original focus on fine leather upholstery, Old Hickory is now equally well know for fabric-covered seating. 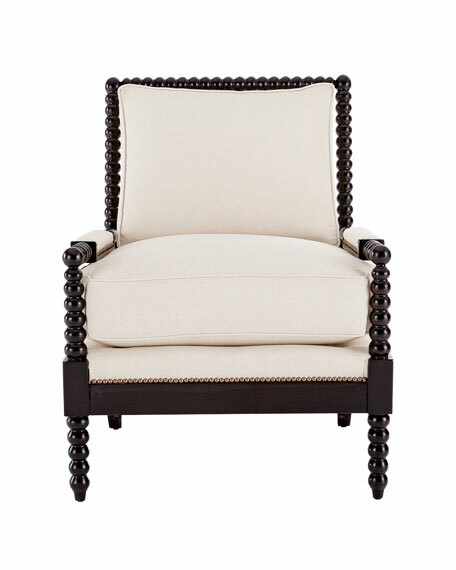 Its range of styles is impressive, from dramatic Duncan-Phyfe-style sofas to graceful Queen Anne armchairs, claw-footed tub chairs, feminine full-skirted settees, and sleek slipper chairs. Old Hickory's craftsmen bring an abundance of expertise to their work; some have been making furniture for almost half a century. 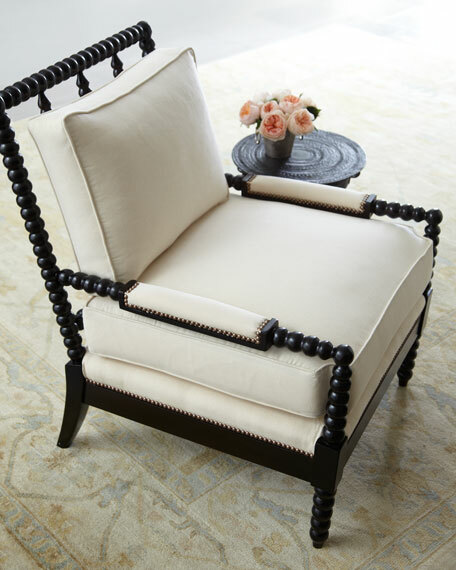 All upholstery is cut and sewn entirely by hand, all frames are solid hardwood, nailhead trim is hand-hammered, and all springs are hand-tied to the frame and surrounding springs at eight points for lasting comfort and stability. 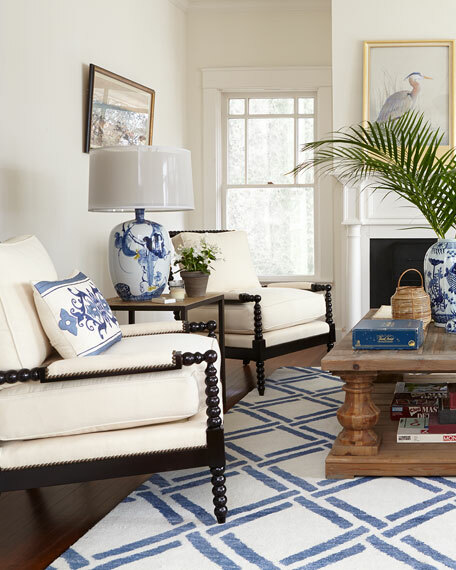 These are just a few of the reasons why this American furniture maker is one of our favorites.